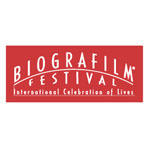 Biografilm represents a unique reality: since 2005, it is the only international event entirely committed to promote and support biographies & life tales. It brings the best selection of biopics, documentaries and short films produced every year on an international basis; it offers wide visibility through screenings, meetings, debates, books launches, theatre shows, exhibitions, concerts and intercultural dialogue between audiences and leading figures of the contemporary cultural scene. The core of the festival are life tales; it hosts interesting personalities that can share their lives and experiences with a passionate audience. Biografilm is promoted and produced by the Cultural Association Fanatic About Festivals, based in Bologna and active all year round with events, special screenings and meeting in the promotion of biographies and documentaries. The festival is supported by: Regione Emilia Romagna, City of Bologna, Del Monte Foundation, and a series of other private and public partnerships. BIOGRAFILM will contribute content to the Performigrations Art-Installation, especially in relation to the video/film components (bioclips of/on life histories and migration narratives). Also, it will contribute expertise on old/new film/video projects on migration memories. In addition, it will: select artists representing Italy to implement the Art-Installation; organise a series of cultural events on ‘migration memories’ accompanying the art-installation in Bologna (June 2015: special screenings; focuses promoting meetings with personalities, special events, live performances/readings, etc); serve in the project Scientific Committee; monitor and assess activities; support project fundraising and promotion at a local & international level.